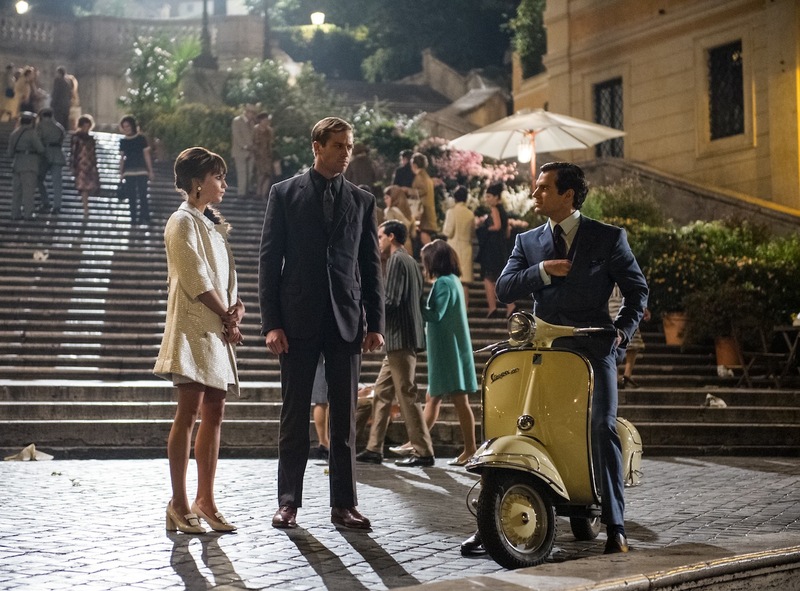 I wasn’t going to write about The Man From U.N.C.L.E. here, because I felt a little embarrassed at my enthusiasm (my letterboxd review is nothing if not enthusiastic). Then I thought, wait, that’s silly. I love movies – I mean, why else would I have started this blog? And my enthusiasm should be reflected here. I think my posts lack a lot when I try to be serious and not just resort to effusive rambling (which is my forte, let’s be honest), because I’m not that great at being, well, critical. Anyway, this movie just made me so damn happy. I can’t remember the last time I had quite so much fun at the cinema. It was really hard not to clap with joy at certain points in the film. It also makes me extra happy that a lot of my friends, and people whose opinions I respect, have enjoyed it just as much as I did. Falling in love with a film is always wonderful, but sharing that love with others is even better. It was basically just a whole lot of fun, and really cute, which is all I wanted. 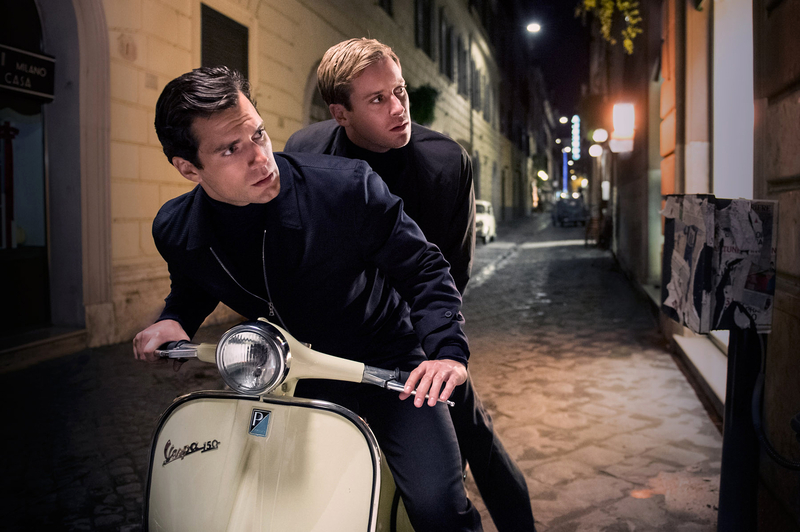 I mean, heck, I would’ve gleefully watched Henry Cavill and Armie Hammer ride around Rome on a Vespa for two hours (there was definitely not enough Vespa riding) so perhaps I’m not the best judge here. But as much fun as that may have been, this was still better. There’s nothing subtle about this film (especially not the innuendo), which is great, because I’m not that keen on subtle. More is more, I say! But Guy Ritchie does make very stylish, slick films and this oozes style. From the smooth soundtrack to the impeccable costumes, style permeates every aspect of the film. I like Henry Cavill a whole lot (ha! That’s an understatement if ever there were one) so to finally see him in a film I thoroughly enjoyed (in a lead role, at least) is nice for a change. He was maybe a little stiff as Napoleon (especially if you have Robert Vaughn’s performance in mind) but there was obviously a particular (and quite different) vision for Napoleon in this film, and I think he fulfilled that vision really well. 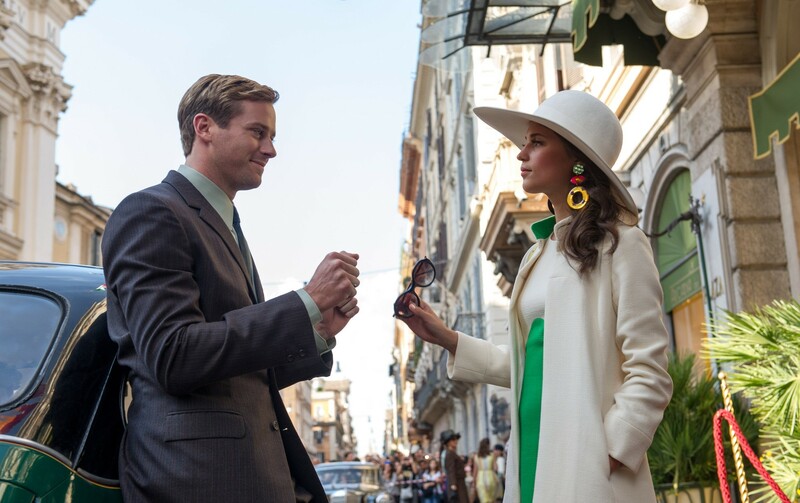 I wasn’t sure what to expect from Armie Hammer, but I just loved him as Ilya (and his Russian accent was a lot better than I had thought it would be). Hammer and Cavill have great chemistry, actually – I mean, that scene where they were squabbling over clothes in the boutique was hilarious – and watching interviews with them it’s clear they get along really well. And Alicia Vikander is lovely and very funny as Gaby. She was a refreshing character in this sort of film, and anyone who dares to dismiss her as a ‘Bond girl’ or ‘male fantasy’ is so wrong. My friend on Tumblr wrote a great thing that articulates well what I intuitively felt about her: if she’s any kind of fantasy, she’s most assuredly a female one. And obviously I want all of Gaby’s clothes. I also really loved Hugh Grant as Waverly and I’m sad there wasn’t more of him in the film. As it’s unlikely there’ll be a sequel if the box office is anything to go by (which is awful and wrong), I doubt I’ll get to see more of him as Waverly in the future. Elizabeth Debicki stayed just this side of hammy as Victoria, and she made a pretty convincing criminal mastermind, I think. I wasn’t expecting a whole lot here but I got what I wanted and more: a fun, stylish ’60s spy film with handsome actors and pretty clothes. And I think it’s really a solid spy/action film, to be honest. It got a little murky toward the end, and the ‘flashback to just moments before’ thing got old pretty quickly (especially upon rewatching), but the rest more than made up for it. And though much of it was maybe predictable, the biggest ‘twist’ managed to surprise me. Having been disappointed in the past, I lowered my expectations considerably, so maybe it wasn’t difficult to exceed them. But deep down, I always knew I was going to love this film. I can easily see it becoming an all-time favourite once I can rewatch it obsessively on DVD.